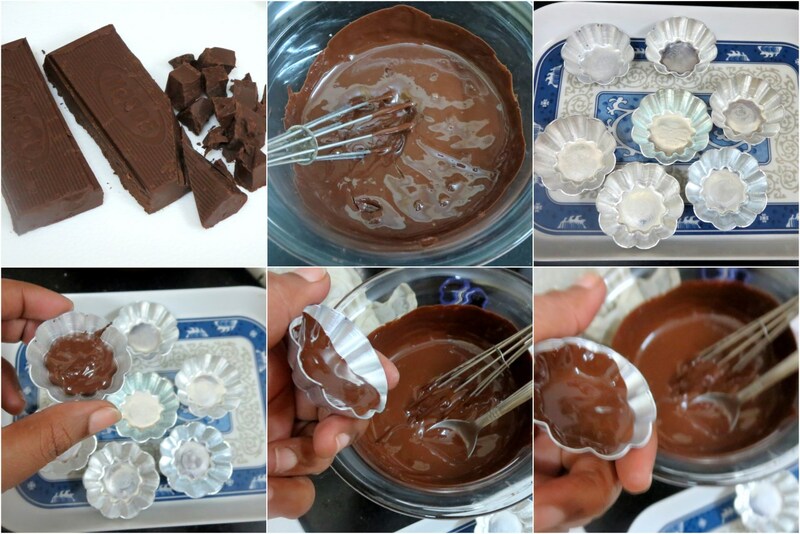 For the final day of BM#55, under Nutella Dishes, I decided to make chocolate cups filled with Nutella Mousse. Other than the work involved in making these mini versions, this recipe is such a winner. After making the entire batch, I was sad I didn’t have any more moulds to make it. 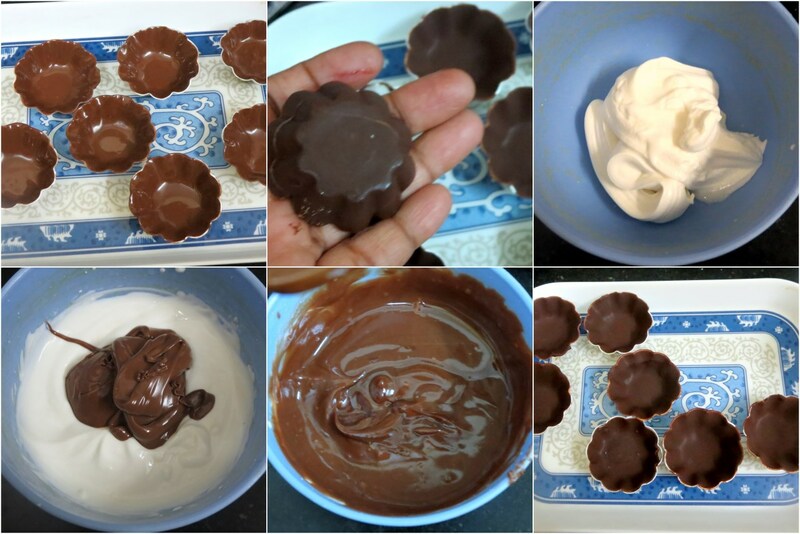 I was so happy that I finally put those mini tart moulds to use. I had picked up so many and never used them properly until now. 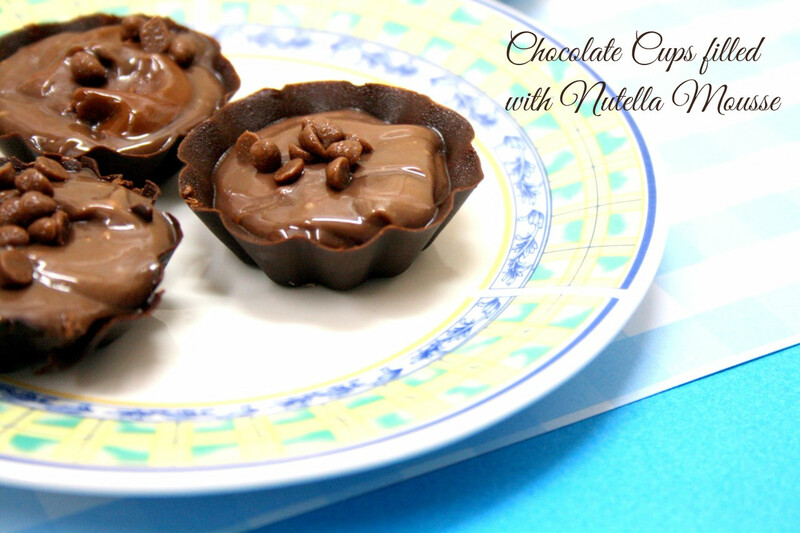 These cute Nutella Mousse in chocolate cups look a stunner and a real winner recipe. I know I have not been able to write much this week. Blame on so many things that seem to crop up. Should be able to sit on writing more next week. 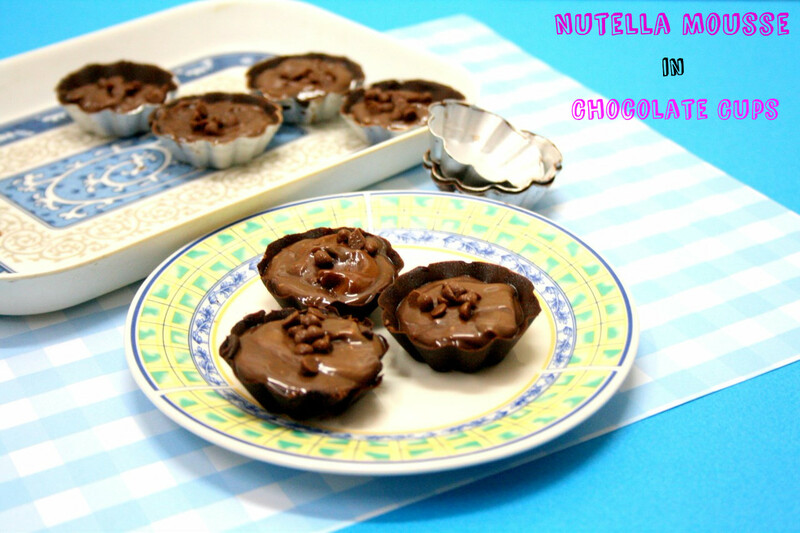 Hope you enjoyed these Nutella Dishes and No Bake Dessert, which for today is No Bake Chocolate Cake. MW the chopped dark chocolate for 30 secs in two spurts. Temper well and coat the cups that you are going to set. Freeze till done. You can either unmould it right away or fill and unmould. Whip the cream well and fold in the nutella. Combine both together and fill into the cups. Set it to chill until serving. I froze some and it set so nicely well that it looked like a truffle as well. trying to grab a few from here!!! ahhh they are so tempting..
Those little creamy chocolate cups looks so inviting…. Amazing dessert. Nutella and chocolate together sounds brilliant. 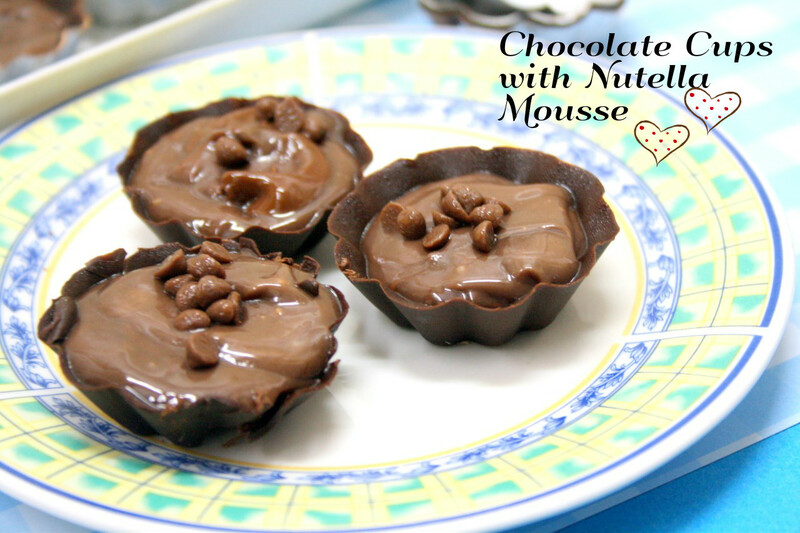 Chocolate cups with nutella mousse, yummy. I love the idea of those chocolate cups. They look super cute. I am sure the final desert is just as sinful. 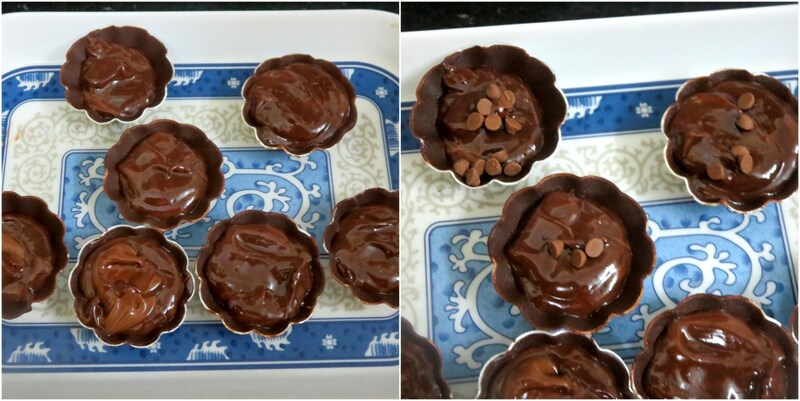 yummy chocolate cups filled with mousse looks soo lovely..
Chocolate cups and Nutella…it's an irrerestible combo….so much deliciousness in one dish!